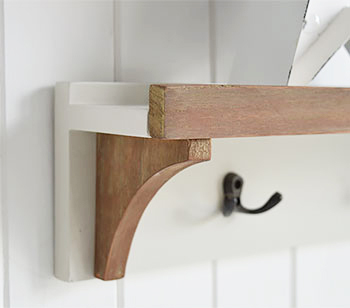 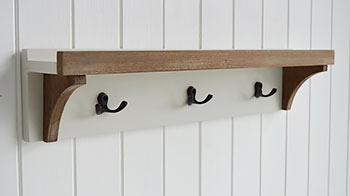 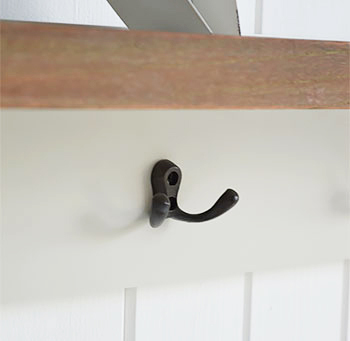 The Brusnwick coat rack and shelf with three double hooks. 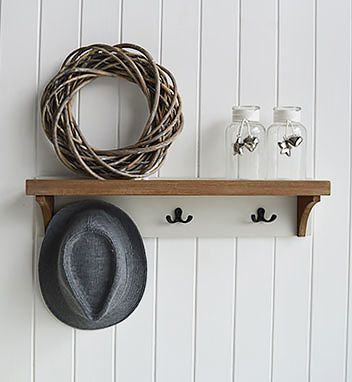 The coat rack is finished in an ivory paint with wooden detailing. 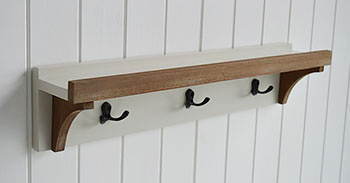 Other pieces available form The Brunswick range are the five hook coat rack and hallway storage bench.